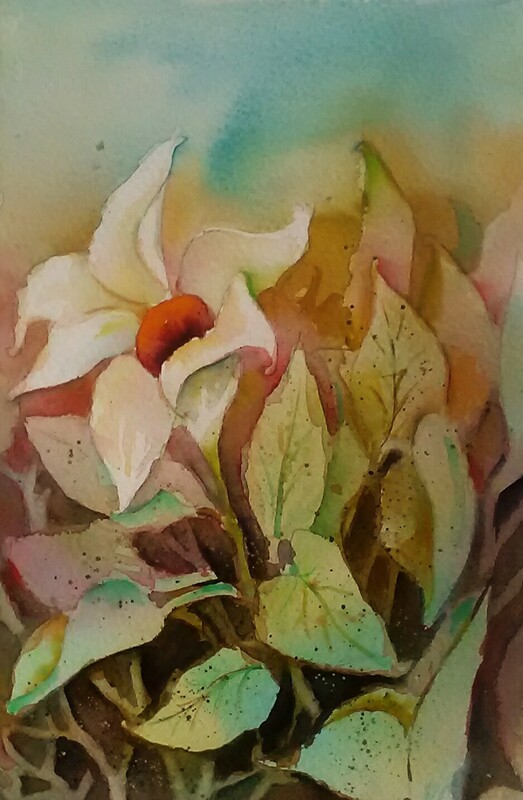 This watercolor class, focusing on principles of composition, is for students at all levels of painting experience (from absolute beginners to more seasoned artists). We will go over color theory and apply it to use with watercolor paints. There will be demonstrations of techniques such as flat and graded washes, wet on wet washes, positive and negative space within your composition, and the use of textures. For beginners and those students who are looking for guidance, this class is project-based. If you are interested in watercolor, but aren’t sure where to begin, don’t worry: the class projects will teach you principles and techniques to set you on your way. Once you begin creating, you won’t want to stop. More advanced or continuing students are welcome to work on their own designs with continued input and tips from your instructor.